Summer in San Diego is slowly but surely picking up speed and at the same pace, our number of parties is also going up. Nowadays it’s very difficult to get date from any friend, we are busy from Friday to Sunday night. Before every party I am seeing a common trend. We are all set to host a party and ready with the menu of the main courses, but take time to decide which dessert to prepare. Probably most of us fear to make a dessert compared to starter or main courses. Today I will share the recipe of a Bengali sweet that will make your life easy before any party. It is the most easiest dessert that you can make at home. 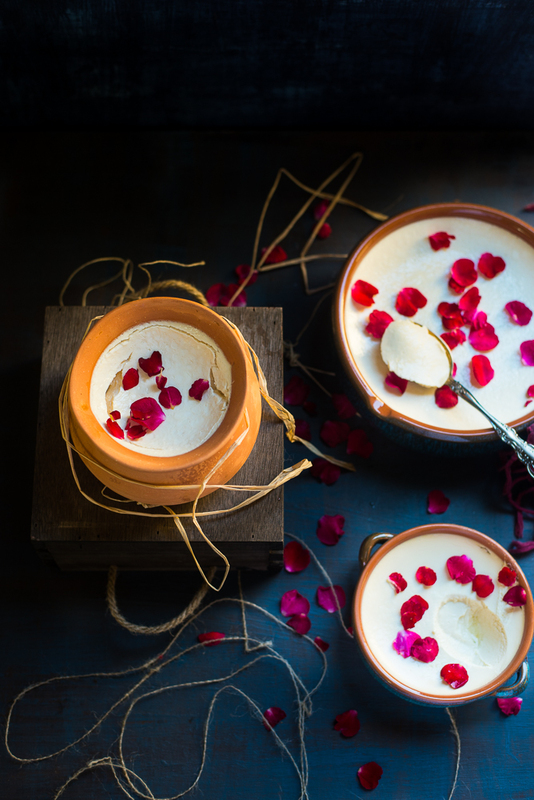 When The word Mishti Doi comes to our mind, all Bengali would immediately start thinking of a small earthen pot filled with rich and creamy sweet yogurt. It's so famous that I have seen people outside Bengal are so fond of this sweet. 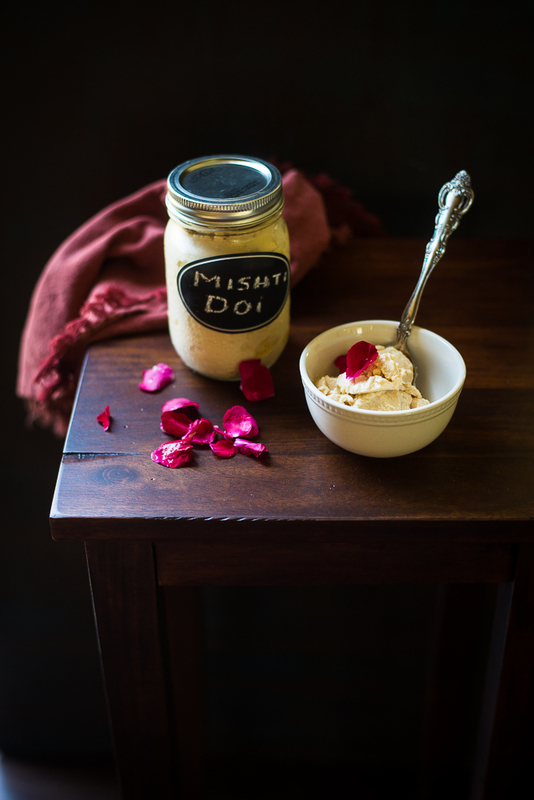 I can still recall that in the Bangalore K C Dash shop, people from all places used to love Mishti Doi as much as Rosogolla or Rasmalai. 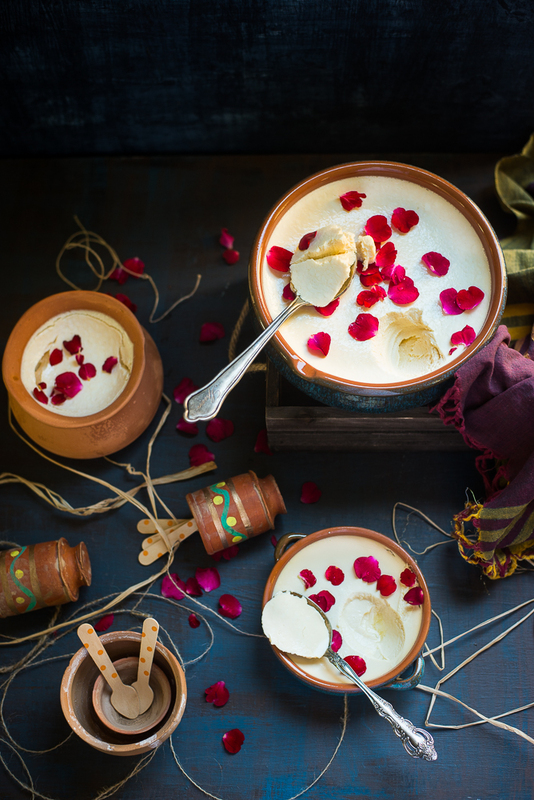 I have shared the recipe of Misti Doi last year but that was the authentic way of making Mishti Doi . The procedure was also undoubtedly easy but it takes relatively longer time. At that time, some of my readers asked if there is any short-cut. So I thought it would be perfect to share the quickest and easiest one in the middle of summer. You just need to mix three ingredients and put it in the oven. This process is nothing original but very common to the Bengalis who stay outside of India and doesn’t have much patience. 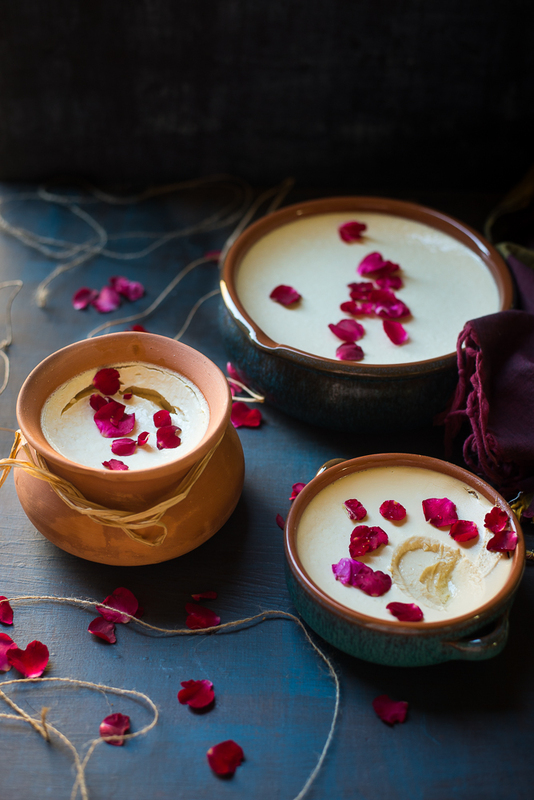 To make this yogurt you don't need any earthen pot but a baking dish. When I made this recipe first time I was surprised and never thought I could make it so fast. And you are wondering about taste ? I can assure that you won’t miss the Mishti Doi from Kolkata anymore. 2. Whisk the yogurt till smooth and set it aside. 3. 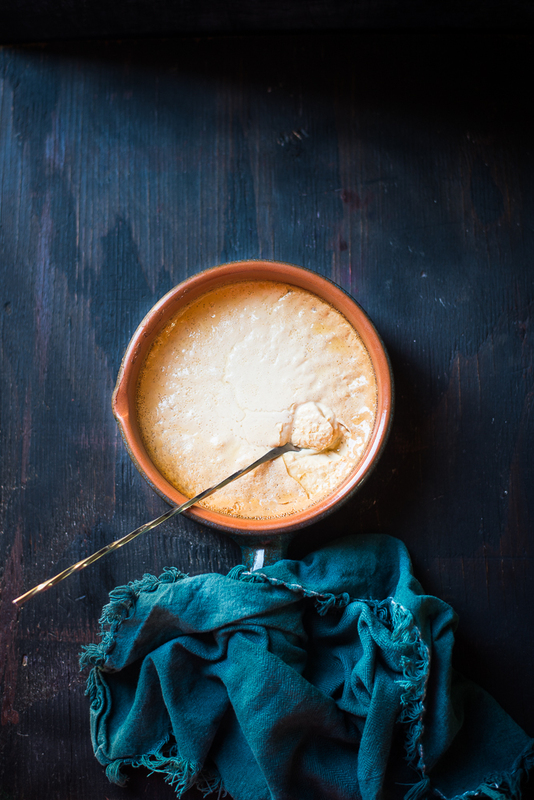 Take a mixing bowl, add evaporated milk and condensed milk, mix it well. Warm the mixture at low heat. Let it cool down to lukewarm temperature. 4. Add the yogurt to the lukewarm mixture. Mix it again till there is no lump. 5. Pour the mixture into a glass or ceramic baking dish. 6. Now set the oven temperature to 200 degrees F.
7. Bake the mixture at 200 degrees for one hour or until it is almost set. Once it is set, turn off the oven. Let the yogurt rest for at least another 2 to 3 hours or overnight in the oven. 8. Once it is cool down completely, put it into the refrigerate for another couple of hours and serve cold. At first put the oven temperature to 400 degrees F. ( this is for preheating ) After 5 or 7 mintutes set the temerature to 200 degrees F and bake the yogurt. If you are still confused forget it bake the yogurt at 250 degrees F.